The brand have changed their packaging and I much prefer this version to how it used to look. 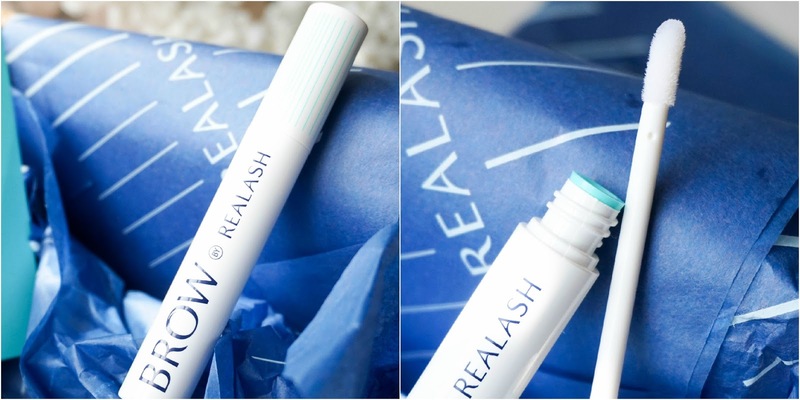 The white packaging with turquoise design looks attractive & chic in my opinion. 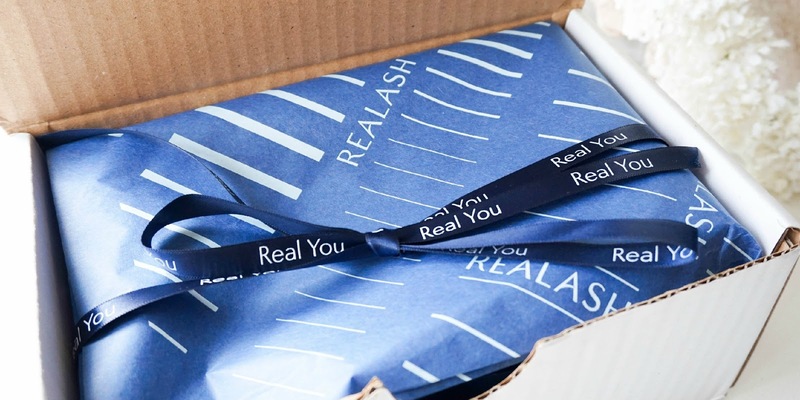 The actual product is very similar to the Lash Enhancer but this time around it has a doe foot applicator instead of a thin brush, which is great for applying to the brows and makes it efficient too. 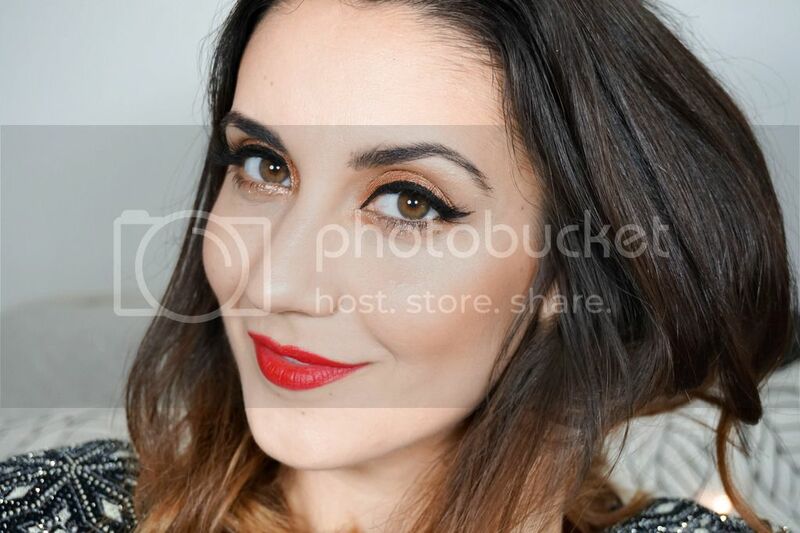 I mostly focus applying it to the front of my brows first as that's where I have concerns and then spreading whatever is left on the applicator to the rest of the hairs. The instructions ask you to apply to clean brows once a day, so I have stuck to adding this step to my evening routine just before I go to bed. Seeing it by my nightstand every night is a sure way to keep me from forgetting to apply it in the first place. Within the 1st month I have already noticed my brows becoming thicker, stronger & generally darker in appearance. So far the results are quite minimal but the exact same thing happened with my Lash Enhancer experience, so the hope remains intact. It certainaly hasn't filled in any gaps in my brows, which is what I am hoping it will help out with by the end of the trial (I may be asking for too much but that's my main worry so that's what I would truthfully expect). 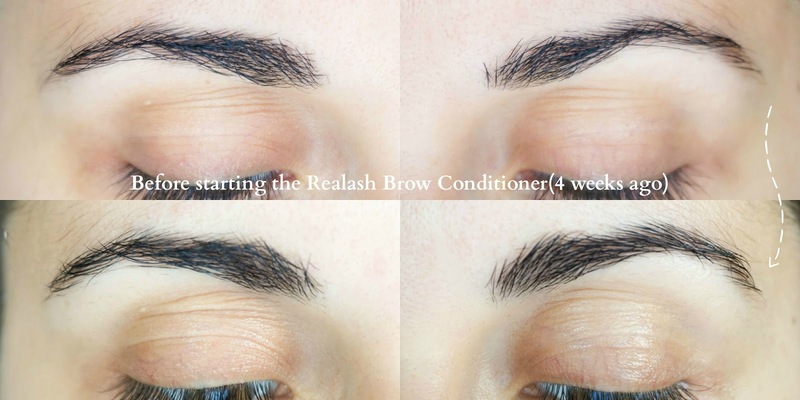 I can already see a few hairs growing back in areas that I have been trying to grow back for quite some time now with no success, in particular the very start of my brows as you can see in the photos above. So far that's good enough of a sign for me and I hope I will have a better looking appearance in that particular area by the end of the trial. I am so excited to continue with the trial and seeing my final results at the end of 3 months, which of course I will share with you. 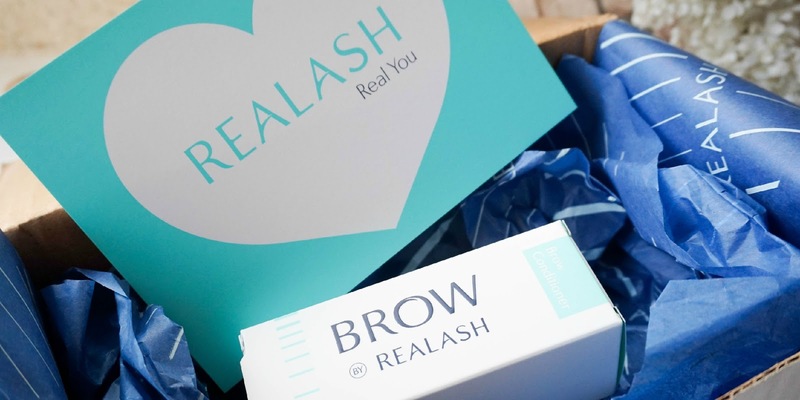 Until then I would love to know if you've tried any brow treatments before and if not would you be interested in something like the Realash Brow Enhancer? 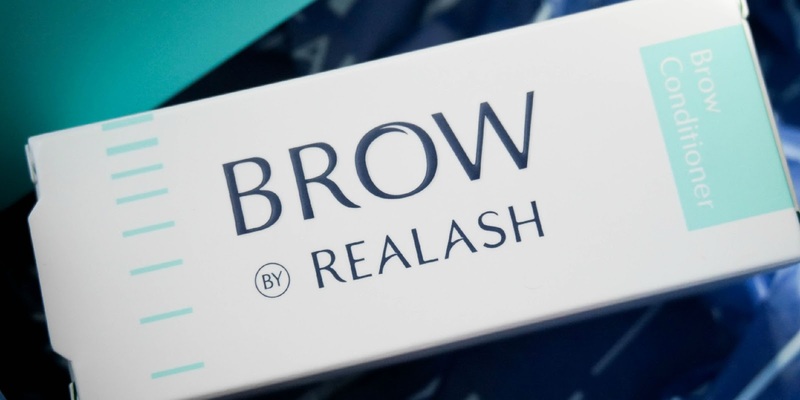 Realash Brow Conditioner can be bought on the brand's website as an extra option with your Lash Enhancer for £36 (you will find the product at checkout). If you're interested to find out more about the brand why not check out the brand's Facebook & their Instagram too.